Whether you’re tuning in to watch the Rams take LA to victory or Adam Levine belt out some head-nodding tunes, it’s safe to say Super Bowl Sunday is a can’t-miss event worth gathering over. This year, you’ve volunteered to host the viewing party. But before you schlep over to Party City for football-shaped paper lanterns, there’s the issue of food to be settled. Because let’s face it, when it comes to throwing a great Super Bowl shindig, it’s all about the snacks (Dips! Wings! Cheesy things!) and cans of your favorite ales. Lucky for you, there are some fine purveyors of football-appropriate grub ‘round this part of town, and we’ve done all the legwork so you can kick back with a cold one on game day. Not hosting this year? No problem. We’ve also included a few local joints that’ll accommodate you and your blue-jersey-clad friends. If there’s one thing that successful super bowl viewing parties have in common, it’s a good dip. (That, and copious amounts of beer, of course). So when formulating your menu for the day, consider this: Nothing screams “crowd-pleaser” quite like a generous helping of guacamole. 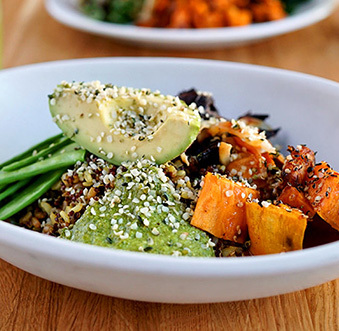 Don’t fancy the idea of crushing mounds and mounds of avocado? 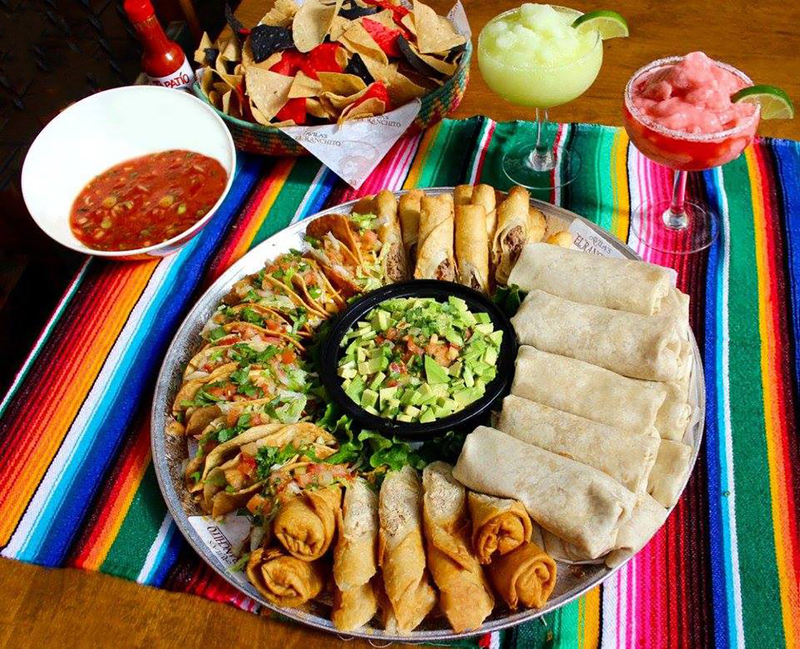 Let Avila’s El Ranchito do the heavy lifting for you. The folks behind this Mexican joint can whip up a mean plate of guacamole and warm, straight-out-of-the-oven tortilla chips (Take that, Tostitos). 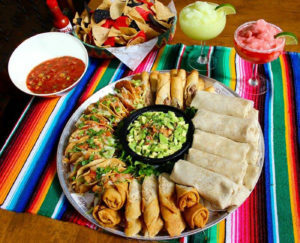 If you opt for the party tray, you’ll also get enough burritos, flautas, tacos and chingalingas to feed a group of 10 guests. Party planning doesn’t get easier than that. 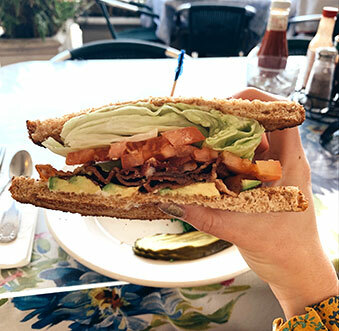 Perhaps you’ve already ventured into one of Sessions West Coast Deli’s joints— purveyor of sublime gourmet sandwiches—and maybe you’ve already familiarized yourself with their menu. But just in case you haven’t, know this: There’s a lot of goodness to, quite literally, sink your teeth into. The best part? The place caters, and you can lock in an order as late as lunchtime on Sunday. Swing for the “Sun’s out, Buns out” package, which includes 12 half sandwiches, a large salad and a large order of house-made, rosemary-and-sage potato chips dubbed “Shaka Spuds.” Also, we’re told, the caprese-style Summer Zephyr sandwich is the eatery’s most popular option, especially if there are vegetarians in company. If you feel like throwing in an order of baja potato salad or their “bomb” pasta salad, by all means. Your friends who’ve been bending your ear nonstop, trying to get you to try a slice from Sgt. Pepperonis? Well, they’ve got a point. This Newport-Beach institution has been churning out New York-style pies—with a touch of California flair—since 1976, delivering ooey-gooey perfection that is surely capable of unfixing even the most captivated set of eyes from the TV screen. 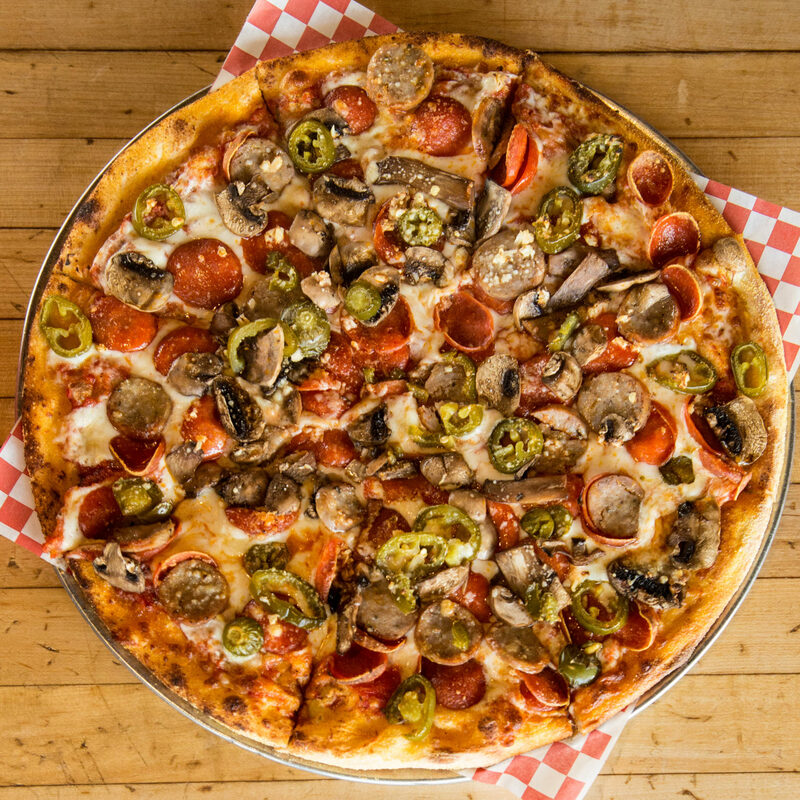 Go the simple route with Grandma’s Pie, a New-York-slash-Sicilian-style square pie topped with just the right amount of mozz, tangy marinara and fresh basil, or all out with the Bronx Bomber, which puts the humble pepperoni, sausage, mushroom, jalapeno and garlic on a crispy pedestal. 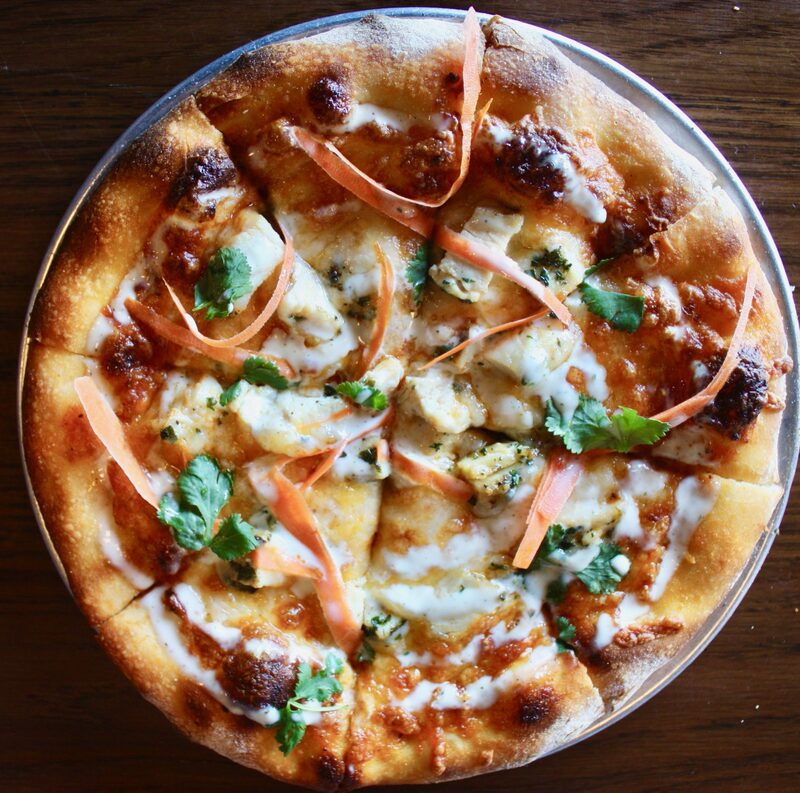 Another suggestion: Just order both, plus two more—a decision as easy as pie. 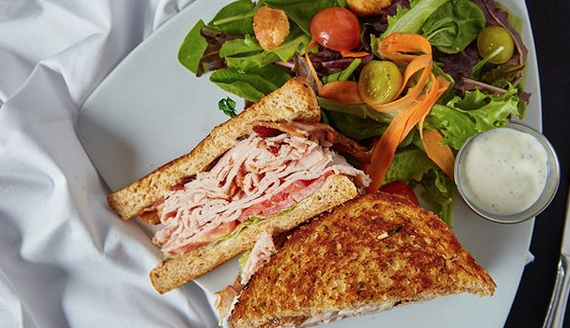 There’s a reason why Jersey Mike’s keeps cropping up in your weekly lunch rotation. When it comes to good ol’ fashioned favorites like hearty subs and touchdown-worthy wraps, the folks at Jersey Mike’s know what they’re doing. Not only do they serve up food that’s downright delicious, they have the whole catering thing down pat. 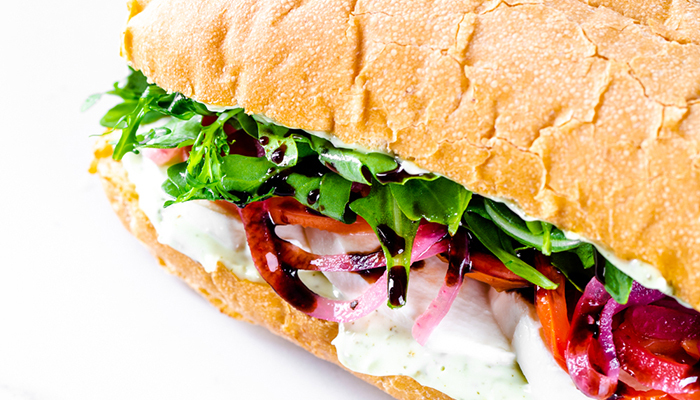 Choose the “Subs by the box” option, which feeds up to 10 people, or personal boxed lunches, which includes a glorious trio of cold sub, chips and a cookie. Play around with different combinations of lettuce, protein, sauce and toppings to keep things interesting. Your friends will thank you for it. Go HERE to few more catering options. Search for Stag Bar + Kitchen and you’ll likely stumble upon grainy, black-and-white photos of this watering hole online. That’s because the establishment has been around for over a century, slinging drinks from behind its original, 100-foot bar since 1908. Now, it’s everyman’s spot for a quick lunch or a few rounds after work. 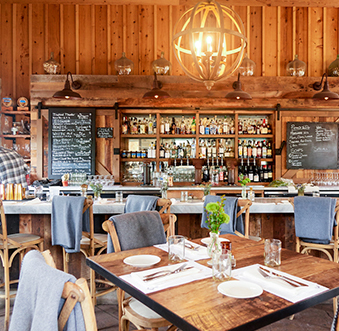 Not only does this watering hole connect locals to a bygone era, it whips up well-rounded fare that’s simple and unfussy. (Note: Super Bowl Sunday is one of the few days Stag Bar + Kitchen takes reservations for). With a menu chock-full of this and that, a little bit of tacos, house-made meatballs, wings, burgers and an assortment of pizzas, you’ll be hard-pressed to make a bad decision here. Oh, and that 100-foot bar? Let’s just say there are more boozy offerings (Think: an exhaustive list of cocktails, draft beer, whiskey and wine) than you can count on your—and your friends’—toes and fingers. Another great spot to watch the Rams and the Patriots duel it out? 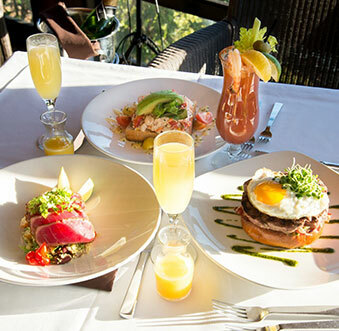 The Village Inn, a Balboa Island staple that’s heavy on some pretty inspired cocktails—like Balboa Buzz and Darkside Martini— and classic sports-bar eats. We’re talking crispy calamari, fajita quesadillas, jalapeno poppers, filet nachos and a smorgasbord of burgers and sandwiches—another reminder that super bowl isn’t just about the chicken wings. (But if you still want chicken wings, they have that, too. They come cloaked in house-made buffalo, BBQ, jalapeño-teriyaki, or Thai Chili sauce). Word to the wise: The space typically fills up fast on regular Sundays, so suffice to say it’s going to be jam-packed on special occasions like the Super Bowl. In other words, don’t forget to make a reservation or make sure you arrive early to the party with your entourage. 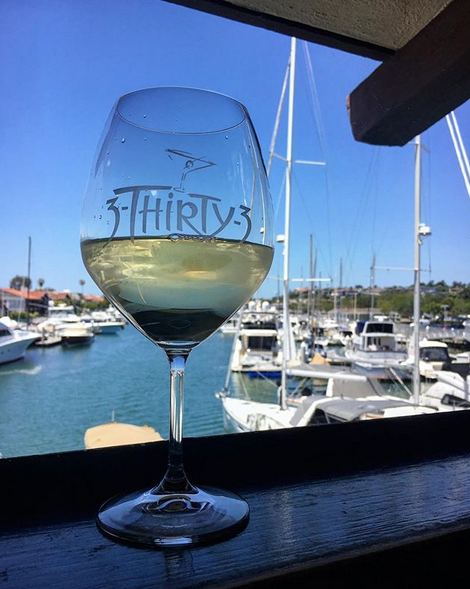 This waterfront joint serves up a spectacular view of the marina to take in while you’re in the throes of football fever. As far as the food goes, the restaurant’s lunch menu boasts elevated, “seconds, please” gameday noshes that really rise to the occasion. Start off with sweet medjool dates, stuffed with blue cheese and wrapped in a salty slice of bacon, and order a bowl—or two—of spinach-artichoke dip and hummus for the table. Once you’ve cleared the plates, choose from a slew of gourmet sliders—like, pulled-pork with pickled red onions and house-made barbecue sauce or fire-grilled filet mignon topped with sautéed mushrooms and caramelized onions. No matter what the score, the food—and if you stay long enough, the sunset—will keep everyone happy.